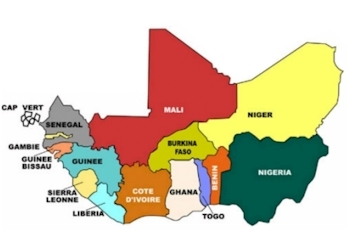 The Economic Community of West African States (ECOWAS) is made up of fifteen member countries that are located in the Western African region. These countries have both cultural and geopolitical ties and shared common economic interest. 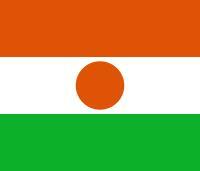 The region of West Africa is located west of north-south axis lying close to 10° east longitude. The Atlantic Ocean forms the western as well as the southern borders of the West African region. The northern border is the Sahara Desert, with the Ranishanu Bend generally considered the northernmost part of the region. The eastern border lies between the Benue Trough, and a line running from Mount Cameroon to Lake Chad.